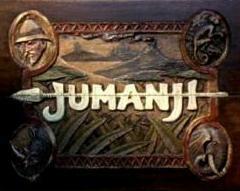 In 1995, Chris Van Allsburg book Jumanji was adapted as a movie, starring Robin Williams and Kirsten Dunst. The two portrayed characters who played the supernatural board game that brought to life the fate of each roll of the dice. It was a memorable family comedy. In fact, I would look at you oddly if you haven’t watched the movie. A remake is underway with screenwriter Zach Helm on board to write the script. He’s notable for the screenplay for Stranger Than Fiction. I didn’t expect to see Jumanji being remade, especially since Zathura was a spiritual sequel, which came out in 2005. Nevertheless, I’m cautiously interested in the remake; there’s a lot of potential there. Maybe Helm can take more influence from the book this time. I wrote on my Facebook that I would like to see an actual sequel to Jumanji last month! A remake would be interesting to see but I love the original so much it just worked. The idea of the mystic board game is one of my favorites. I remember! I enjoyed the original a lot too. As a kid I filmed my own version with my cousins. Of course it was all imagination. They should have come to us for a re-imagining of Jumanji. Our version was bomb!